A small young ladies Tournament held at the Amstelveen ARC with players from the Amstelveense, Octopus, Bulldogs and Delft Rugby Clubs. 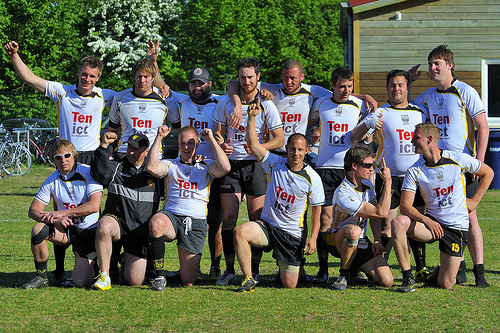 The Pink Panthers Sevens Tournament 2011, was won by Eemland RC, Amserfoort. A total of 12 teams battled for the winning position, it was a long day, around 7 hours of rugby with the kick-off at 10:00 and the winner being declared around 17:30. The remainder could take a week or so as also processing Groningen and National Sevens. Sundays match from the 3e klasse Noordwest (3rd division North-West), Amsterdam AAC2 v the Bulldogs RC from Almere. 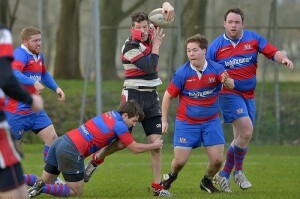 Match report on the Bulldogs web site. Match report on AAC’s web site.